These images were posted on Twitter by Bigg Boss. 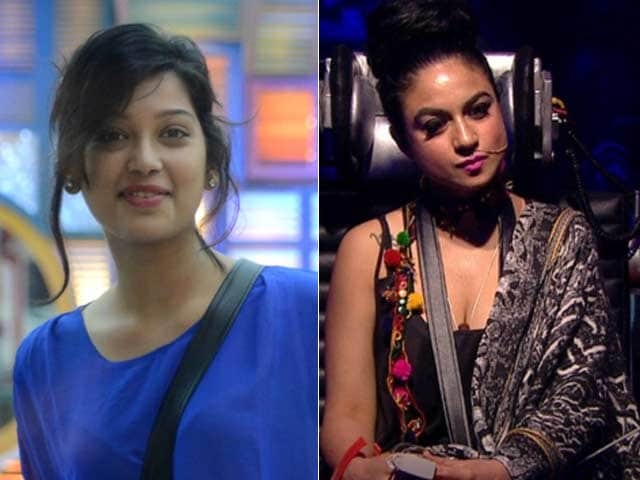 Television actress Digangana Suryavanshi, who was evicted from Bigg Boss Nau, said that Priya Malik deserves to win the show as she is playing a smart game. Digangana also said that Rochelle Rao's behaviour has changed. "Rochelle has become annoying of late. She is a very sweet girl otherwise. She offers help, make-up, clothes and talks nicely too, but I think since Keith Sequeira came, she got to know certain things which have disturbed her and that frustration is coming out through her behaviour with other contestants," added Digangana. Digangana, who played the role of co-contestant Rishabh Sinha's sister in the television show Qubool hai, was reportedly thrown out of the show because of a spat with Rishabh. However the actress is happy that they have patched up on Bigg Boss. "When he entered the show, I was obviously not happy. But, later we spoke and he apologised to me. I don't believe in keeping grudges for life. So, I thought that I should let it go. People in the house raised their eyebrows on our changed equation, but we were just trying to make sure that the other person is comfortable, now that the fight is over," said Digangana. "Rishabh is a good guy. He goes overboard at times but knows how to control himself. After he comes out, I think we will get along very well," added Digangana. Digangana was voted out by the housemates.